Item # 300373 Stash Points: 1,999 (?) This is the number of points you get in The Zumiez Stash for purchasing this item. Stash points are redeemable for exclusive rewards only available to Zumiez Stash members. To redeem your points check out the rewards catalog on thestash.zumiez.com. 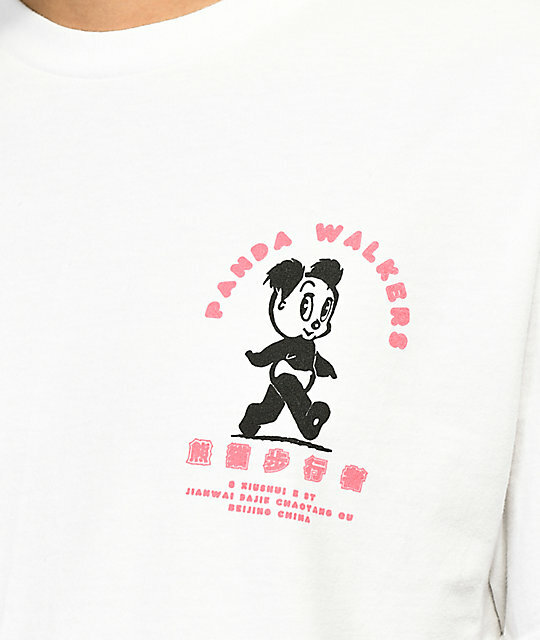 The A-Lab Panda Walkers short sleeve tee features a left chest and back screen printed graphic of a walking Panda with a huge smile on its face and "Panda Walkers" script above in pink and Chinese script and text below. 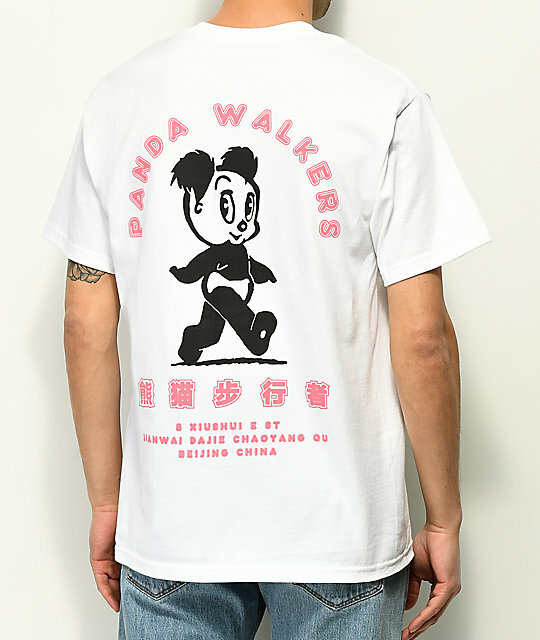 Panda Walkers white tee shirt from A-Lab. 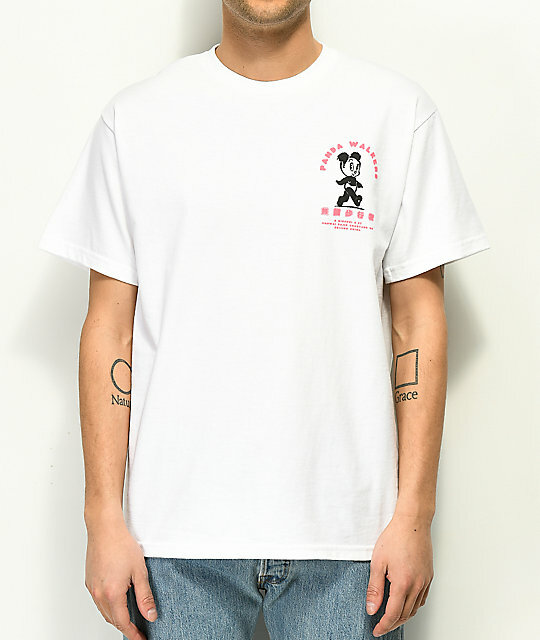 Short sleeves with a crew neck collar. 29.0" (74.0 cm) from top shoulder seam to bottom hem.